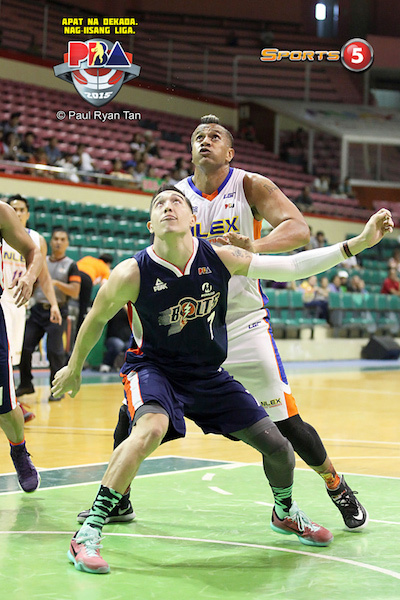 The new PBA season has begun, and we already previewed six of the twelve clubs. In part two, we will finish our season preview by looking at the remaining six teams: GlobalPort, Mahindra, Meralco, NLEX, San Miguel Beer, and Talk N Text. We will look at each team’s general performance in the previous season, its key players this season, and its overall outlook. I’ll try to keep the team previews in bite-size chunks. I don’t want the analysis to be too overwhelming. Being concise, after all, is an oft-forgotten skill. - Previous season: 16 wins and 22 losses (42.1% win rate); highest finish - Quarterfinals in the 2014-2015 Philippine Cup and 2015 Govs’ Cup. - Team leader: Terrence Romeo. 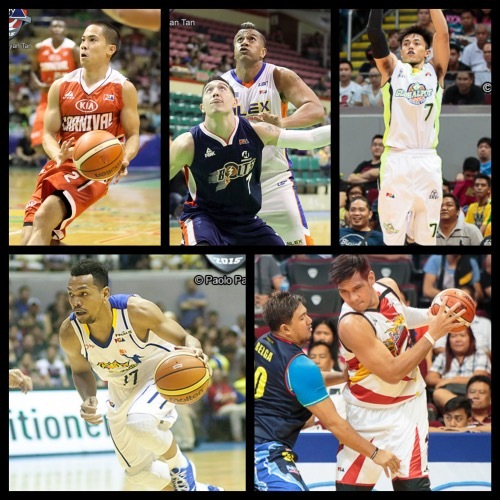 - Other key players: Stanley Pringle, Joseph Yeo, Jay Washington, Keith Jensen, Anthony Semerad, Doug Kramer, Jervy Cruz. - Notes: The GlobalPort Batang Pier always seemed like they were on the verge of greatness last season, and this time they are poised to perhaps make the jump from dark horse to contender. Terrence Romeo is coming off a superb showing for Gilas 3.0, Stanley Pringle should be much more efficient in his sophomore campaign, and the additions of Joseph Yeo, Jay Washington, and Jervy Cruz seem to, at least on paper, address some major weaknesses. This team’s chances, however, are heavily hinged on whether the they actually get to keep their talents. As of this writing, rumors are swirling about Jervy Cruz’s moving to another team, and I wouldn’t put it past GlobalPort’s management to hook up with other teams as the season progresses. 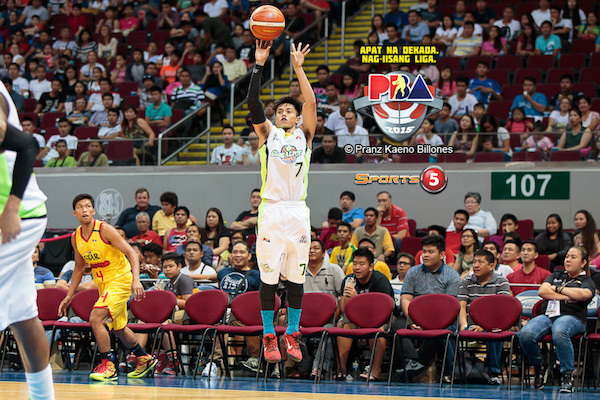 Chances are, though, it will be to the detriment of the Batang Pier. - Previous season: 10 wins and 23 losses (30.3% win rate); never advanced to the quarterfinals in any conference. - Team leader: LA Revilla. - Other key players: Karl Dehesa, Hyram Bagatsing, Mark Yee, Aldrech Ramos, KG Cañaleta, Kyle Pascual. - Notes: Having former Gilas pool members Aldrech Ramos and KG Cañaleta in tow should mean a marked improvement in performance for the rebranded Enforcers, but that will be tough to do without top-level talent elsewhere in the roster. Karl Dehesa showed a lot of potential in the 2015 Govs’ Cup, and if he can be more consistent with his shooting, he should be a good running-mate to LA Revilla, who showed that he can stand toe to toe with the league’s elite playmakers. Hyram Bagatsing and Mark Yee had their moments last season as well, but, let’s face it, they are not much more than complementary guys on a club that’s in dire need of a bona fide star. - Previous season: 22 wins and 22 losses (50.05% win rate); highest finish - semifinals in the 2015 Commish Cup. 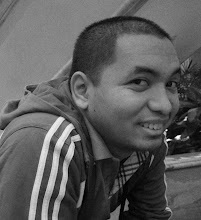 - Team leader: Jimmy Alapag. - Key players: Cliff Hodge, Gary David, Jared Dillinger, Reynel Hugnatan, Rabeh Al-Hussaini, Chris Newsome, Bryan Faundo, Baser Amer. - Notes: What this team really needs is a genuine leader on the floor. They already have an elite coach in Norman Black, but they don’t have that on-court presence who commands the opponent’s undivided attention and who can reign in all the amazing potential of this club. Cliff Hodge is, statistically, this team’s best player, but he doesn’t have the leadership of, say, a Ranidel De Ocampo or a Marc Pingris. He’ll finally get some big help (literally) as truant center Rabeh Al-Hussaini has finally decided to come back. Together with Bryan Faundo and Kelly Nabong, Al-Hussaini makes the Bolts’ frontline much more capable relative to last season. The strength of this quintet, though, lies in its perimeter play. Gary David and Jared Dillinger are as solid as they come at the wings, and adding rookie Chris Newsome makes things even more interesting. 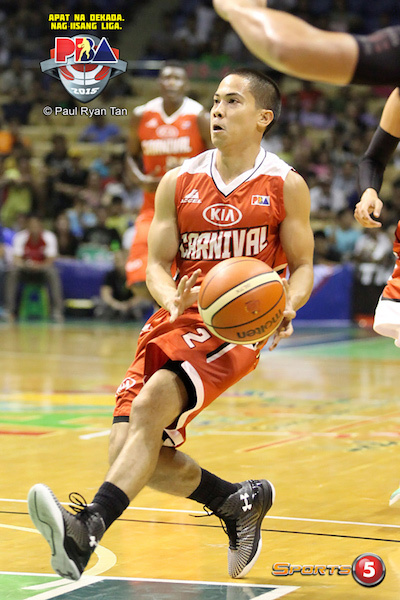 The point guard play will be very intriguing here, as greenhorn Baser Amer looks to play major minutes while learning on the fly under the tutelage of this team’s true leader, ex-retiree Jimmy Alapag. - Previous season: 13 wins and 23 losses (36.1% win rate); highest finish - quarterfinals in the 2014-2015 Philippine Cup and 2015 Commish Cup. - Team leader: Asi Taulava. - Other key players: Mac Cardona, Sean Anthony, Jonas Villanueva, Kevin Alas, Garvo Lanete, Rico Villanueva. - Notes: This is such a polarizing team. They have really old guys (Asi, Rico, Cardona) and really young guys (Alas, Lanete) who will all be major moving parts of the season. The Road Warriors are gonna encounter a lot of roughness, but they also can never be fully overlooked. They don’t have anybody who can really take over a single game, but they have a serviceable lot that, by all indications, will probably be fodder for a lot of midseason transactions. If there’s anyone here aside from The Rock who can really, potentially be a star, though, it’s probably Alas. The former Letran Knight had some great runs with TNT last season, but he should see much more action with NLEX. Ditto with Sean Anthony, who should be the top choice at small forward for coach Boyet Fernandez. It’ll take a whole lot for this team to go beyond the quarterfinals in any conference, but, again, don’t discount this temperamental club. - Previous season: 37 wins and 17 losses (68.5% win rate); highest finish - champions in the 2014-2015 Philippine Cup and 2015 Govs’ Cup. - Team leader: June Mar Fajardo. - Other key players: Arwind Santos, Chris Lutz, Marcio Lassiter, Alex Cabagnot, Sol Mercado, Brian Heruela, Chris Ross, Gabby Espinas, Ryan Araña. 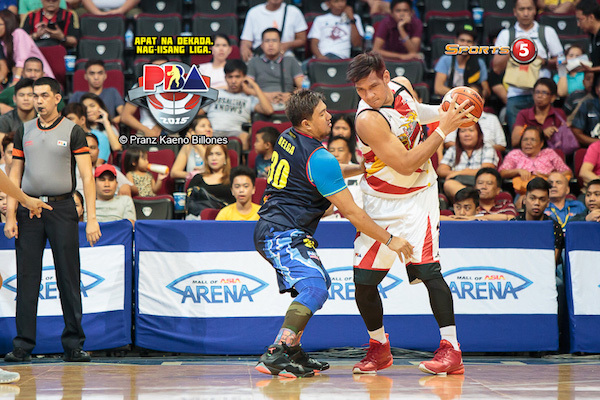 - Notes: The Beermen are going to be the ultimate favorites in every conference this season. Of course, that’s barring any major injury issues, but, heck, even with a player or two down, San Miguel Beer is crazy stacked. Fajardo is the clear frontrunner in the MVP race even before they play a single game, and Arwind Santos and Marcio Lassiter are, arguably, the very best at their positions. That means coach Leo Austria has three of the best players in the entire league, position-wise, while he has a handful of other guys who can be superstars on any other PBA club. By far this team’s point guard corps is going to be super interesting to watch. I mean, coach Leo can go three-deep with All-Star level playmakers. That’s the kind of problem every other coach would want to deal with. The simple fact is San Miguel Beer is the sure-fire favorite to win not just in this conference, but throughout the entire season. - Previous season: 35 wins and 24 losses (59.3% win rate); highest finish - champions in the 2015 Commish Cup. - Team leader: Jayson Castro. - Other key players: Ranidel de Ocampo, Moala Tautuaa, Troy Rosario, Matt Rosser, Larry Fonacier, Kelly Williams, Danny Seigle. - Notes: TNT is perhaps the only other team out there that can really challenge San Miguel talent-for-talent. Unlike SMB, the Texters cannot go three-deep in certain positions, but this team’s balance is excellent, whether we’re talking about size, speed, shooting, athleticism, youth, experience, or two-way basketball. Coach Jong Uichico has a wonderful opportunity to be among the final two teams in every conference, but he’ll have to bring young bigs Mo Tautuaa and Troy Rosarioup to speed on the pro game fast. If both rookies play up to their potential, TNT may just have the best frontline in the league. Yes even better than the JMF-Bagyo combo of the Beermen. Of course, Jayson Castro should continue to be unstoppable, RDO should remain the best stretch-4 in the country, and we should see marked improvement in MGR’s game. Given all these things, I am looking forward to a multiple amazing SMB-TNT playoff series! Images are by Paul Ryan Tan, Paolo Papa, and Pranz Kaeno Billones/Sports5. 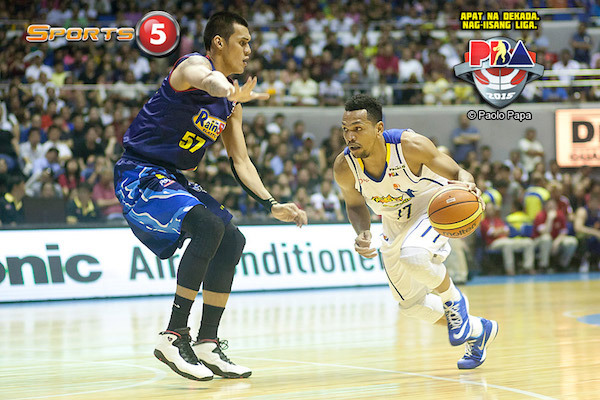 CHECK OUT OUR TOP-NOTCH COVERAGE OF THE 2015-2016 PBA PHILIPPINE CUP!